The transition between legacy and cutting-edge businesses could be at a tipping point.For investors in International Business Machines, the company's ongoing transition has truly created a tale of two companies. Announced Monday, six international banks have signed letters of intent to issue stablecoins, or tokens backed by fiat currency, on World Wire, an IBM payment network that uses the Stellar public blockchain. Smart Energy Water (SEW), a global energy and water cloud platform provider, has signed an agreement with IBM to leverage the IBM Cloud for SEW platform global deployment over the next five years. 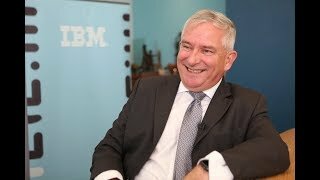 Can you explain what IBM means by hybrid cloud, and where it fits with the cloud ecosystem? IBM and Vodafone have launched a joint venture aimed at helping companies across Europe to allow easier integration of cloud technologies.